I first heard of this Israeli band through a humourous documentary that the band did concerning their search for a new drummer. In this video, the music they were playing sounded like a bit similar to Dream Theater, so I was interested in checking out what they had to offer. Although this band has been around for a couple of years now, they are only now picking up speed in the progressive music scene with their second full-length album, entitled ‘Natural Causes’. With depth to their music, good songwriting and beautiful album artwork to boot, Solstice Coil represents the Israeli music scene well. Although my first impression with Solstice Coil was that their music was progressive metal, I was only half right; this band leans towards a variety of different sounds, drawing them all into a mixing pot, and metal happens to be one of them. My greatest impression of this album is hearing melodic vocals overtop a warm string section and atmospheric guitars, although we also hear this band getting quite energetic, and even exercising a sense of ironic humour at points. Although the album is fairly nicely put together, Solstice Coil passes me as a song-based act, with most of these songs bringing something a little different to the table. Of course, this sacrifices the sense of flow and cohesion to the album- its greatest weakness- but I found myself interested in what the band was doing, even despite its drawn out length of seventy minutes. The songwriting and way the songs are arranged are both very good, although there is one thing that I felt was lacking here, that being the dearth of too many memorable melodies. Although Shir Deutch is a fairly good vocalist, there are surprisingly few times on this record where the melodies really got through. This is largely because the band gets a little ambitious for their own good. There are so many things going on with the instruments, almost as if the music was written so that no musician would get bored while playing it. Don’t get me wrong- this is good in a way, because it leaves plenty of stuff to discover on a second or third listen. The one drawback is that there is not any song in particular that really stands out. 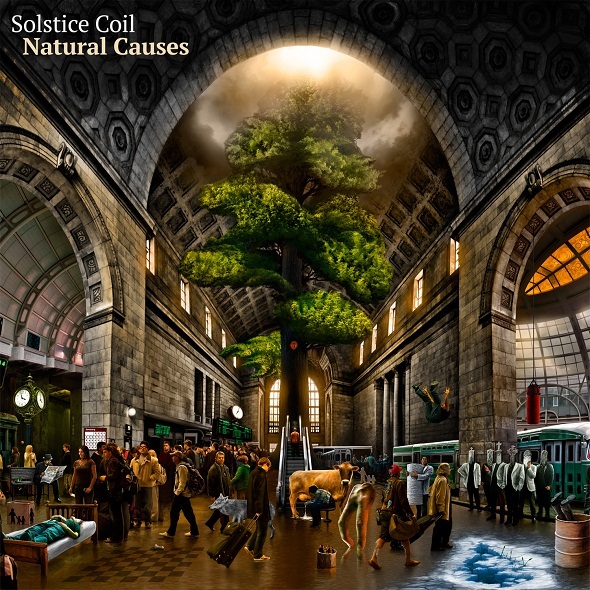 Solstice Coil are an eclectic bunch, and their material here is enjoyable and dynamic, although I would not yet say that they have perfected some of the finer aspects of their craft. All the same, I could never criticize this band for having a lack of ambition, so it should be interesting to see where that inspiration leads them once that energy becomes more focused.